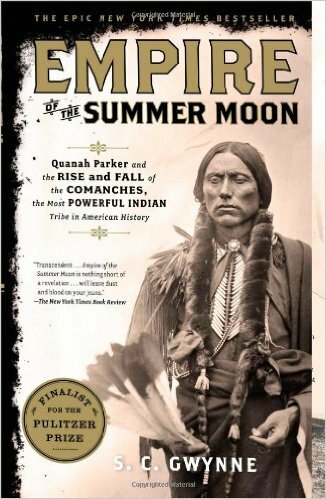 S.C. Gwynne book concerns Cynthia Parker and her son Quanah. The former was captured by Comanches as a 9-year-old; the latter grew up to be the last, and very formidable, Indian leader in the Southwest in the late 1800s. Apart from what I had gleaned from Cormac McCarthy, I knew very little about this time and place until I read this book. Open the first page and start reading—you will not put this book down.